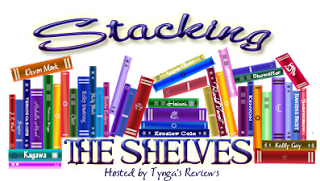 Stacking The Shelves is a weekly meme hosted by Tynga's Reviews and is a post for bloggers to share what books they've received to review, bought, won, borrowed or were gifted. As always click on the image to go to the Goodreads page. I am already enjoying Archangel’s Shadows! Nalini Singh is my favorite author and I have been anticipating Ash and Janvier’s story for some time. I hope to have the review up soon. Burn For Me is the start of a new series from the married duo that make up Ilona Adrews. I hope to get to Burn For Me soon! Their Kate Daniels series is one of my favorites. Burn For Me is such a fascinating story, I hope you like it! Me too! I can't wait to start it. Im glad you liked it! Burn for me looks good. I also like the cover for the Nalini Singh book. Great stack this week. I like the new look. Thanks, Grace! It was a big change. Nice! Got Nalini's book as well this week! So behind on sooo many series and review books! It's overwhelming! Hope you enjoy your new reads! I have never read any of Ilona Andrew's books! Enjoy! Never heard of these! I hope you enjoy them! Jealous of both these books! 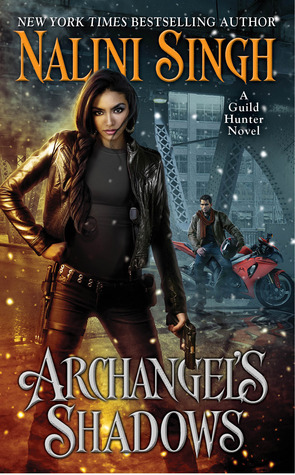 I still have a few more of the archangel books to read, but I'm already looking forward to getting to Ashwini & Janvier's story.